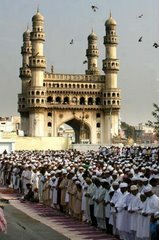 Hyderabad Assembly : The Majlis e Ittehadul Muslimeen (MIM) asked the government to take up the construction of barrages in neighboring districts of Hyderabad to preserve the flood water for providing drinking water supply to twin cities and Cyberabad areas. 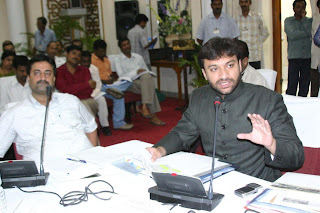 Participating in the short discussion on floods in the state assembly, The MIM floor leader Akbaruddin Owaisi expressed serious concern over the non filling of both the reservoirs Himayatsagar, and osmansagar despite heavy rains. He stated that all the major reservoirs in the state are overflowing while the both Himayatsagar and osmansagar yet to fill the MiM Leader also underlined the need for protection of catchments area for filling up the reservoirs. Mr Akbaruddin Owaisi also wanted that the government to pursue Japan government for obtaining the assistance for taking up the 534 KM revert and bunds on delta and underlined the need for expediting the works on irrigation projects to protect the state from recurring floods. He stated that the estimates have crossed from 226 crores to 1340 crores in 12 years for taking works on glories and reverts on delta which could avoid the floods. Referring to media reports, he said that Andhra Pradesh is moving towards severe cyclonic storms in next few years along with other coastal states according to the assessment of scientists. “The destruction might be more severe than what we had experienced 10 days before or that experienced in Gujarat,” he added. The intensity might be increased 10 to 20 percent according one of the observation, he pointed out. According to the observation the state has already entered the cycle of 40 years cycle of cyclone for which records are available, he added. Criticizing both the ruling congress government and the main opposition Telugu Desam Party (TDP) for indulging in blame game on flood relief, he asked both the government and TDP to concentrate on relief and long term measures rather than indulging in political bickering. MiM Floor Leader Akbaruddin Owaisi expressed condolence to the families of deceased and sympathy to the flood victims who suffered hardship during the floods. He stated that floods in Godavari, Krishna and its tributaries have been worst ever in over five decades exceeding the devastation caused in 1986 and 1996 causing wide spread damages. He added that week long floods have affected 6509 villages in 467 mandals in 16 districts paralyzing the lives for several days. He expressed hope that the central team which is the state to make detail assessment of the damages would recommend massive quantum of assistance to the state from central government. Criticizing the government over its ill- preparedness on flood control, he pointed out that the not even the sand bag including sand was available for protecting the breaches in bunds. He stated that per 5 KM “lashkar team” should be there for protection of canals unfortunately the lack of staff created problems for protection of canals and bunds. 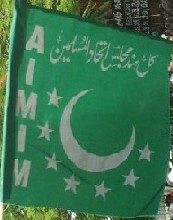 Owaisi said that out of 100 staff required only 40 staff was available with the department for protection of canals.“Though air force helicopter were deployed for air dropping food packets, water and milk sachets and medicine, many people stranded in their marooned villages starving for days,” he added.He said that the naval launches also could not bring relief to all marooned villages resulted annoyance among the flood victims upon the local administration for their callousness in providing timely relief. MIM Floor leader stated that the devastation caused by floods could be known from the fact that state government has sought central assistance of 1,435 crores for permanent and temporary relief. He stated that the total losses were estimated to 1913 crores including the damages to crops worth 525.66 crores. About 1.42 lakh houses were fully and partly damaged. He stated that flood affected areas are exposed to epidemics but government has organized only 548 health camps when 6509 villages were affected with floods. “The government has organized medical camps in only 310 villages with insufficient medical staff,” he pointed. He stated that medical camps are organized for one week but government has organized camps for two days with meager budget of 5 lakhs which was inadequate for medicine. Referring to roman proverb “ they came, they saw and they went back”, he said that the Prime Minister Dr Manmohan Singh and UPA Chairperson Sonia Gandhi, Union Minister for Home visit has disappointed the flood victims. My name is Hammad Rasheed. I was reading news from website. I found extremely immoral and abusive material against ISLAM and BELOVED HOLY PROPHET HAZRAT MUHAMMAD (S.A.W.W). This website has cross its limits. It is the time to give fearsome punishment to them. So, As a Muslim it is your first obligation / responsibility / duty to contact with them and go to their office and ask them that why they do that. Then give fearsome punishment to all of them who are responsible. And then powerfuly order them to delete those extremely immoral and abusive materials (comments) from their website/platform. And then you should do agreement with them that in future it will not happen again. Listen !!! No body has right to say any abusive sentence about ISLAM and BELOVED HOLY PROPHET HAZRAT MUHAMMAD (S.A.W.W). Note the 1st, 2nd, 12th, 15th, 30th, 35th, 36th, 38th, 39th, and espacially 67th, 76th and 83rd comment from the following webpage of website. Note the 4th, 13th, 29th, 32nd comment from the following webpage of website. please read full the following webpage carefuly. Please read full the following webpages carefuly. Listan !!! We can not tolerate any abusive material against ISLAM. Listen !!! We love our BELOVED HOLY PROPHET HAZRAT MUHAMMAD (S.A.W.W) very much. REMEMBER !!! On the day of judgement we all Muslims have to answer that "what we have done for our BELOVED HOLY PROPHET HAZRAT MUHAMMAD(S.A.W.W)?"